Happy 40th Birthday to Dungeons and Dragons! The original RPG, Dungeons and Dragons, was released sometime during January 1974 (or at least the best evidence available suggests that it was). I can't believe that I almost failed to note this important anniversary at this blog (as moribund as it has been over the past several months)! Welcome to middle age, old friend. The Return of Fight On! Fight On! 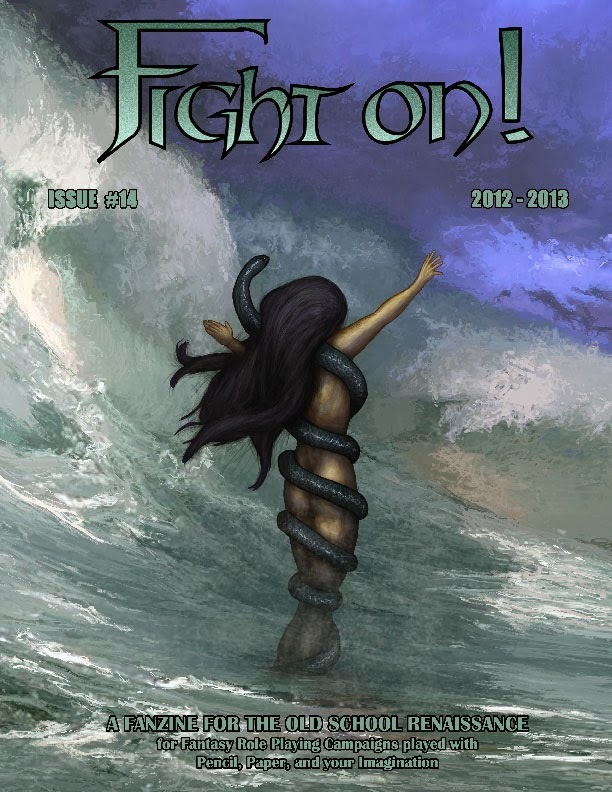 It's the fanzine that helped fuel the Old School Renaissance in fantasy role-playing over the past several years. Issue 14 is available in PDF and the much-more-old-school paper format. The 'official announcement' is here. I'm delighted to see this wonderful fanzine return. I suspect that we'll be seeing a number of such articles this year, as it is 40th anniversary of D&D (and thereby the entire RPG hobby).